Wilco Die-Tool-Machine Company was started back in 1951 by Stanley Williams, Jr and has since taken its place as a very successful and respected industry leader. 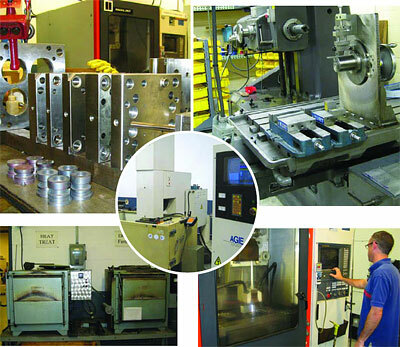 Wilco Die-Tool-Machine Company can build injection molds to fit all of your requirements. Whether you need small or large, unit style insert molds or complicated multi-slide tools, hot manifolds or cold runner systems, or anything in-between and around, we can take care of you. Wilco utilizes the latest, most up-to-date SolidWorks 3D CAD Design Software as well as Mastercam for programming our CNC machine tools. Wilco Die-Tool-Machine Company also specializes in the manufacturing of custom parts and repairs to existing damaged parts by utilizing our CNC Machining capabilities, which includes a Wenzel Smart CMM, CNC Machine Centers and Wire and RAM EDMs. We can also make engineering changes to your current parts and tooling whether it is built domestically or offshore.